To save Europe’s nature we asked people to make a song and send it to their politicians with a clear message: Don't change the EU nature laws. Over 61.000 people from whole Europe took part in this campaign and helped save the EU Birds & Habitats Directives from being changed. In April 2014, WWF launched an online pledge for candidates and voters for the European Parliament elections. 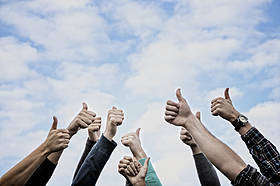 More than 600 candidates across all 28 EU Member States have signed WWF’s pledge to protect the environment and public health and create jobs and a stronger ‘green economy’ if elected as Members of the European Parliament on 22-25 May 2014. The results of the online pledge showed that support for environmental issues crosses all political groups. Green candidates were understandably the most active, accounting for one third of all pledges, including top names like Ska Keller and José Bové. In June 2013, WWF launched Seize Your Power, a global campaign calling on financial institutions to significantly increase their funding of renewable energy and cut funding to fossil fuels. The action recognises that the level of CO2 emissions in the atmosphere requires drastic action if we are to limit global warming. In July 2013, the EIB adopted measures which will phase-out support for coal and lignite power plants. By November, Denmark, Finland, Iceland, Norway, Sweden and the UK, had joined the US in ending public finance for new overseas coal-fired power plants. In December 2013,the EBRD followed suit and committed to phase-out financial support for coal plants (with exemptions) and promote investments in renewable energy and energy savings. A world powered 100% by renewable energy is possible. Take action! Stop Bankrupting our Oceans campaign successfully contributed to improving the Common Fisheries policy to restore European fish stocks back to health. For over three years since 2010, WWF built a strong NGO and industry alliance to campaign for better fishing laws, with hundreds and thousands of citizens that took action with us. 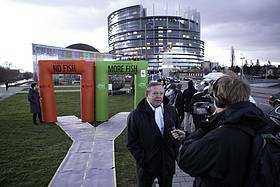 In February 2013 all together we managed to turn the tide in the European Parliament, when the plenary voted in favour of a future sustainable fisheries policy. In October 2013, the European Parliament took an important step that would give fish stocks in Europe a fighting chance to recover over the medium to long-term. The Well Spent campaign made the EU Budget 2014-2020 a little bit greener. An effective NGO's alliance fought hard for a truly green Common Agricultural Policy - which receives 40% of the overall budget. For the first time, the EU allocated 20% of its budget on climate action for the next four years. After big efforts, a further slide in environmental protection within the Common Agricultural Policy was halted, including stopping double payments to farmers for identical environmental actions; and higher concentrations of Cohesion funding were allocated to energy savings and clean energy investments. 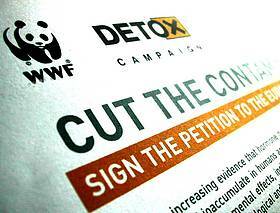 In 2013, WWF's EU office gathered different key stakeholders who brought up some controversial views on the CAP reform. Our aim was to trigger debate on the future of the Common Agricultural policy.